Of late, businesses have begun to focus more on building long-term and mutually beneficial relationships with consumers. This makes sense, because it costs 5X as much to acquire a new consumer as it does to retain an existing one, as proven by an eConsultancy study. A critical part of building such long-term relationships is trust. This is exactly why transparency is important and being talked about extensively at present. People who trust you are more likely to reorder from you, share their experience with your brand and recommend you to friends and family. According to Nielsen’s Trust in Advertising report, 92% people are influenced by recommendations made by friends and family. Building trust in today’s society can be hard, with the growing distrust in brands, aversion towards advertisements, and trust-destroying events like the circulation of fake news on Facebook. But with the right strategy and content marketing tools, you can accomplish the task. Here is a list of 5 content marketing tips and tools to earn consumer trust. Infographics are interacted with 3X as much as any other type of content on social media. You can easily convert blog posts, podcasts, webinars or even studies into infographics, by focusing on the highlights. Identify the latest blog posts/infographics in your niche that went viral, and recreate them with more value or better design. Brian Dean calls this the SkyScraper technique. HelpScout’s Customer Acquisition Strategies for Entrepreneurs is a great example. The guide curates links to already existing internet marketing resources, but the one of the reasons why it created a lot of buzz was because of it’s beautiful design. You could also approach the same concept from a more fresh and unused angle. Sometimes, controversy improves engagement. For instance, consider this post on using Millennial lingo in marketing. Many marketers don’t believe in Millennial focussed marketing, and even fewer support the use of ‘trendy acronyms’ that the author illustrates with screenshots on the post. Even though she didn’t advocate the use of Millennial lingo, the post received tons of comments in communities, with marketers sharing their strong views against using lingo in brand marketing. Alternatively, you could repurpose an old blog post that was well-received by your audience. For instance, Blogging Wizard’s Adam Connell repurposed his popular post “How To Stand Out Online: 43 Experts Share Their Top Tips” into an infographic which got him over 22,00 visitors and 2000 social media shares. Content Intelligence platforms could help you identify quality pieces of content that could be repurposed and profitable for marketers. When creating your infographic concept, think visually. Also make room for research and statistics in your design – they add credibility to your claims. A good example is the DigitalMarketingPhilippines’ B2B social media trends infographic which focusses on numbers and became quite popular. Ensure that you establish your expertise by explaining concepts with clarity and unique insights. Avoid using the infographic to sell your services. Venngage helps you streamline infographic design using in-built templates and other resources. You can turn your data into graphics easily, choosing from charts in the gallery. You can also add icons, upload images (your company logo), and customize text and fonts if needed. 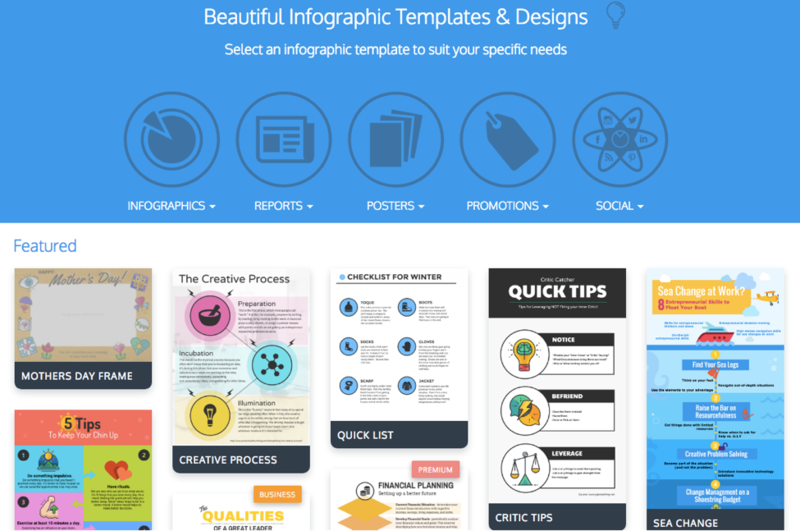 Find a template for your specific project in Venngage’s infographic templates library. Companies with an active social presence are considered more accessible and trustworthy than those without one. The difficulty is in managing multiple social accounts and maintaining a consistency across them. Even with an active social presence, your content might still go unnoticed. Visuals are a great way to catch consumer attention and engage them. You can’t be trusted as an unbiased source if you only share your company content on social. Your audience will clearly see through your ulterior motive of growing your business. Instead, you can build an identity for yourself as a source for industry related news and information. It will not only be easier for you to find value-adding and visually appealing content in this way, but also gain your audience’s trust. 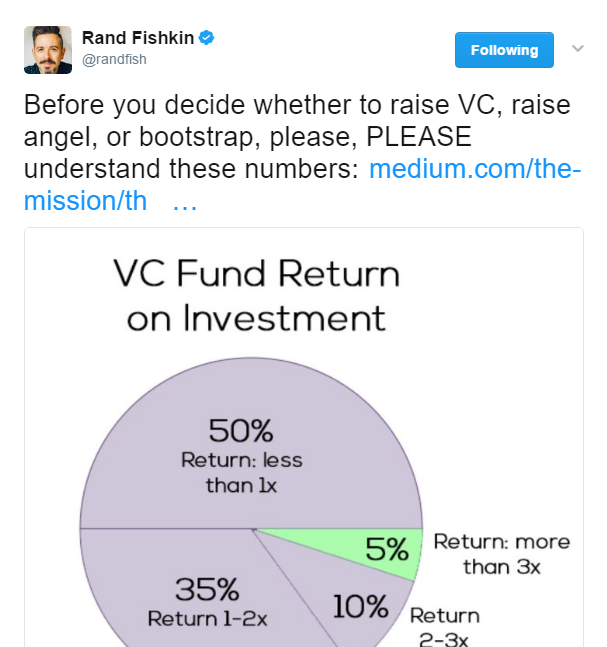 For instance, Moz founder Rand Fishkin doesn’t only share his company’s content on social, but is an effective curator for all important things SEO and startup-related. He curates content with strong visuals to make his posts more informative and engaging. 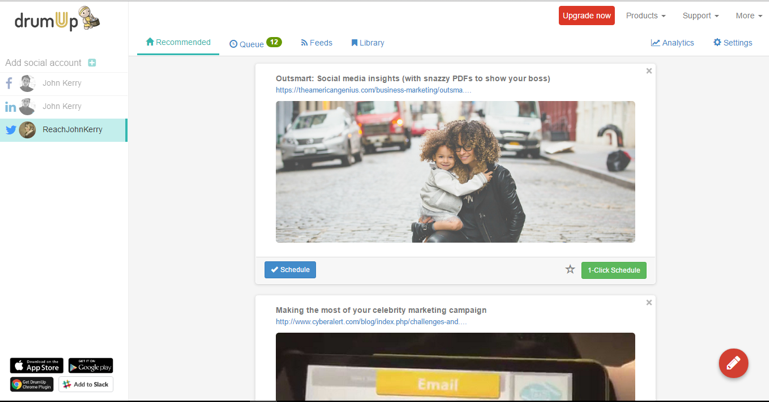 DrumUp helps you manage multiple social media accounts with ease by finding fresh industry news (based on keywords you set) and letting you schedule it across your accounts, with custom images or cover images pulled from the curated posts. Industry news and stories complete with visuals, @mentions and #tags (recommended by the tool) can help you expand social media reach and build important relationships. Social media campaigns are effective only when consistent. You can store your social media graphics, infographics and ads in DrumUp’s library and set them up on repeat schedules over different intervals of time to create maximum impact. The occasional spunky GIF can also help increase social media engagement. DrumUp’s GIPHY integration allows you to find GIFs in-app and schedule them to your account. Try and use humor when pairing GIFs with your post text. 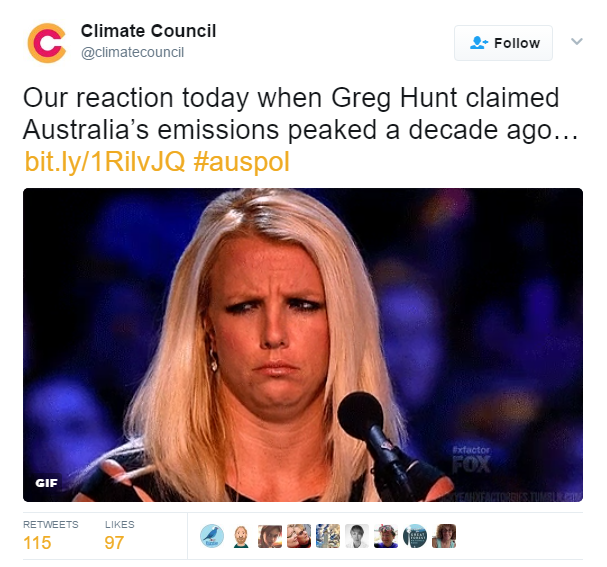 For instance, here’s what Climate Council used to express their incredulity about somebody’s statement. According to an eMarketer study, 81% of shoppers who receive a personalized email are likely to make a purchase. Clearly, email marketing is an important way of prompting current consumers to reorder. You can do more with email than promote your products. You can use email to inform, teach and delight consumers, and visual content plays an important role in achieving each of those goals. Many businesses use emails to share weekly blog updates, free webinars and other value-adding resources with consumers, along with promotional email, but few of them use visual appeal to make an impact. This could be because creating great visuals is a tough task, but you could have a beautiful newsletter without doing anything fancy. 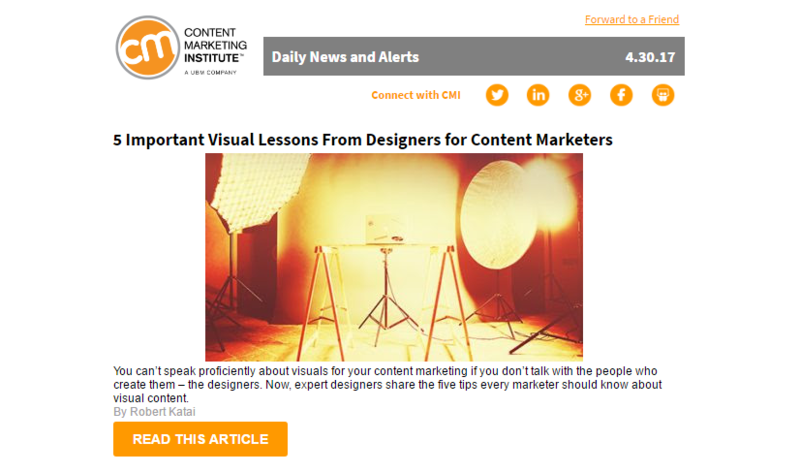 ContentMarketingInstitute has a simple, but visually pleasing newsletter. All elements in it are orange, true to the brand’s colour scheme, and there’s always one lead blog post image that matches/contrasts the theme. You can use photographs, animated videos, GIFs, interestingly designed call-to-buttons or user generated content as visual elements in your emails. Again, it doesn’t have to be too fancy. Phil Frost, marketing guru, uses his photograph and signature to sign off on every email. Presentation matters, in an email, and so does personalization. The reason why so many brands branch-out and create niche products is because they usually have target groups that differ in likes, dislikes and purchase behavior. The ideal scenario is where you have great looking email that is perfectly personalized to target every recipient. But you work with as much personalization you can afford, going by the data you have access to. There are a bunch of customizable email graphics in Venngage’s templates library. GetResponse lets you optimize your email marketing using A/B tests, segmented email lists, and effective landing pages. You can upload the HTML of your email template design and run tests to determine the value of each element in your email, textual or visual. An important part of building trust is personally responding to any and all consumer correspondence. This can be tough on social networks, especially because people use them with the expectation of an instant response. Many companies have customer support and social media managing personnel who aren’t well-versed with the technical aspects of their business. Always acknowledge requests for support, even if you don’t have the ability to resolve them. You can always address the technical issue after you have a solution for it. Also, social media platforms allow for a lot of creativity that can help you diffuse stressful and frustrating situations. They also present unique opportunities for PR. 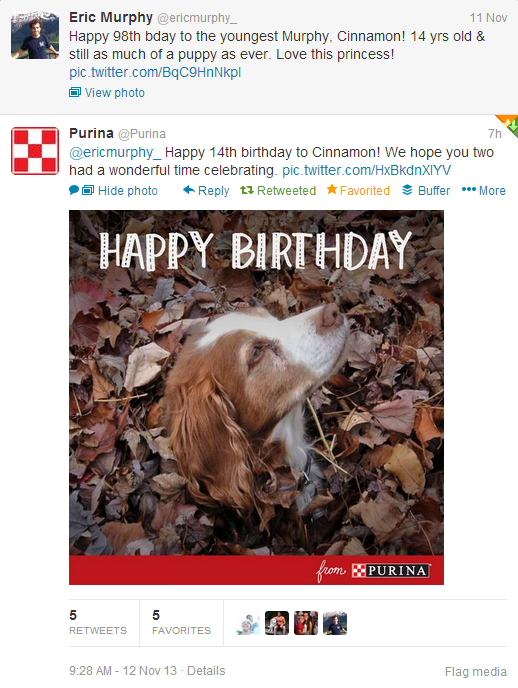 Pet product brand Purina once wished a puppy owner on his canine’s birthday and was thanked by the owner on a blog post that got a lot of attention. BrandWatch helps you monitor mentions across social networks and analyze their sentiment. That way, you can focus on responding to the urgent (negative) ones before they reduce your brand’s worth in the eyes of other prospects. 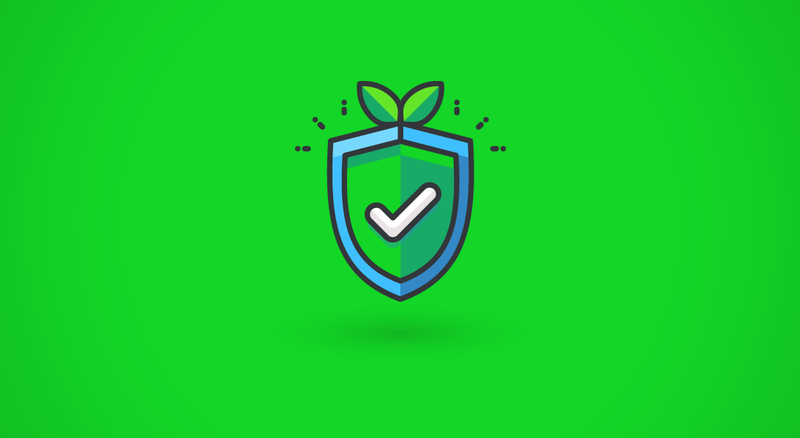 You can set up multiple keyword projects on alert on the tool, and not only manage support posts more effectively, but find opportunities for PR and to interact with new prospects. Consumers are force-fed 1000s of brand messages on everyday, and yours are likely to get lost in the crowd. Video is an interesting means to capturing consumer attention and rising above the noise. I’m sure you also know that YouTube is the second largest search engine in the world. To leverage ist benefits, you need to create a series of videos. There are many ideas you could implement in the video format, that can help you build trust. You can shoot consumer testimonials, capture what happens behind-the-scenes, create tutorial videos and more on video. One of the easiest ways to do this, is first create a set of presentation slides that you want to turn into a video. You can add customer testimonials, photographs from behind-the-scenes or tutorial content on the slides, and then line them up on a video software to make your video. What you should definitely do, is tell your brand’s story. The power of storytelling is hugely underrated. As Andrew Stanton has pointed out in his TEDTalk, you can even fall in love with the villain once you know their story. Additionally, there’s also livestreaming on social networks that you could consider. You can run a product launch, do a behind-the-scenes video or run a short webinar using Facebook Live or Periscope. Wideo lets you create animated videos—a charming type of video content that you can use to implement most of the ideas discussed above. You can add voiceovers, background music and choose from in-built templates to create your video, or make one from scratch. The tool also has a module called Matic that lets you create personalized videos. While you can’t use your own visuals, you can provide a source from which your personal message is pulled and fed into a template to create personalized videos. When creating your content marketing strategy, it is important to go beyond “targeted content” and consider important elements like trust, audience intent and brand feel. A business that invests in creating trust and truly serving its consumer base is more likely to sustain over time.